Non-binding document would give developer a framework for updating South Bay’s waterfront. CHULA VISTA — Details of how the Chula Vista Harbor update will fully play out is still being fleshed out, but the Port of San Diego’s Board of Port Commissioners hopes to establish a design mandate for the redevelopment of the South Bay waterfront. Commissioners, on Feb. 6, approved a set of non-binding guidelines to provide direct private development of a waterfront within the public realm. The non-binding guidelines would, according to port district staff, complement any controlling documents approved for redevelopment of the Chula Vista Bayfront. “The guidelines focus on overarching concepts and are intended to provide design flexibility [and] are intended to be referenced throughout the design process,” port district staff stated in a report to commissioners. 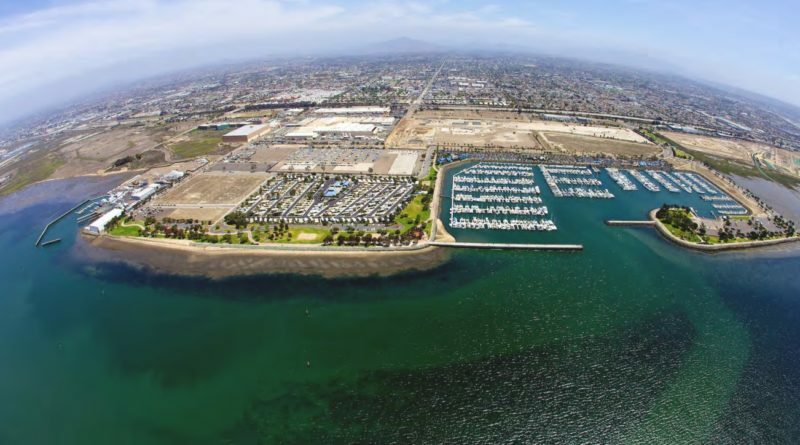 Port district staff stated the non-binding guidelines would help improve the aesthetics of Chula Vista Harbor once the Bayfront development is completed. Suggested design guidelines would be separated into three chapters covering general framework, public realm and private development. The opening chapter provides framework for promenades, streetscape, public art, landscaping, parking, and bike and pedestrian circulation. A portion of Chapter 1 is dedicated to Chula Vista Harbor and recreational boating interests. Chapter 2, meanwhile, partially explains how any redevelopment of Chula Vista’s waterfront should enhance the public experience – for both boaters and visitors. “The intention is to make [Chula Vista Harbor] a special destination, which will accommodate a range of private boating activities and also to be a tourist attraction, which could potentially include ferry service and harbor cruises,” an entry in Chapter 2 stated. Overall goals of private development on Chula Vista’s waterfront are the focus of Chapter 3. The planned hotel and convention center development would be included in Chapter 3’s guidelines. “This chapter focuses on private development improvements. The guidelines in this chapter provide guidance and overall goals on the form of buildings, as well as their relationship to the public realm,” port district staff stated. “Specific guidelines are provided that address street-wall scale, architectural design and compatibility, landscaping, and overall building placement. “These private development guidelines encourage unique and creative design yet respect and acknowledge the natural environment, scale, proportion and character of the [Chula Vista Bayfront],” port district staff continued. The guidelines were established through a combination of public hearings held in late 2017 and stakeholder outreach to the city of Chula Vista and developer RIDA, among others. Commissioners also extended the exclusive negotiating period with RIDA to Aug. 9, 2018.